The Uninvited is the only book on the alien abduction mystery to have been written by someone who looked into the phenomenon as part of his official government duties. 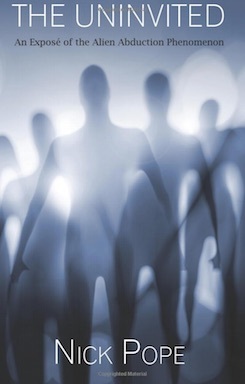 Nick Pope was drawn into the alien abduction mystery while running the British Government's UFO project and this book looks at parallels between alien abductions and folklore, as well as considering the psychological factors that might lie behind the phenomenon. 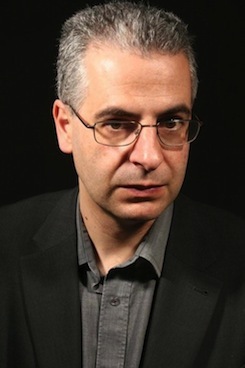 Nick Pope has been involved in scientific studies into the alien abduction phenomenon and has worked with around one hundred people claiming to have had such experiences. As well as giving an overview of the mystery, this book looks at some of the extraordinary cases that Nick Pope investigated personally, both for the Ministry of Defence and in a private capacity. "Has the understated authority a reader would expect from the man who acted as the official investigator into UFO sightings for the British Ministry of Defence. Lacking the hysteria of so many other books on the genre, Pope's report takes the high road. " "A good read, and raises some thought-provoking issues."